How can I change my personal data? How do I access the online chat? With whom can I talk in the Online Chat? Do I have to be registered on the portal to book services? How can I contact the WINTP technicians? I can't remember my password. What are the advantages of registering on WINTP portal? What is it and what is for the "Manage My Bookings" area? Sign in to access your Reserved Area in the portal (link on top of the portal home page). Click on "Update Personal Data" to update/change your data and then click "Submit". To access the online chat you need to be a registered user of the portal. Before you start on the Online Chat, you confirm to have read and agree to all the rules for its use. With all the registered users of the portal that are using simultaneously this service as well as with our online tourism technicians and oenologist. Yes. In a given time of your booking we will ask your "Username" and "Password", and for this you must be a registered user. You can choose to contact our technicians in many ways: by Social Networks (facebook or twitter); Online Chat; Phone +351 22 610 2075; or by Email contact@winetourismportugal.com. Click "Recover your password" in your Reserved Areaand enter your email so we can send you a new password. 1. Best Prices on the market. 2. 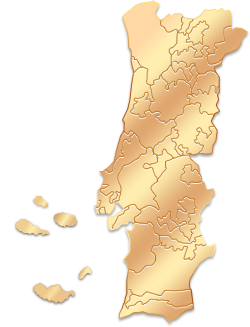 The most complete Enotourism Guide in Portugal. 3. Advising with a specialized technical team. 4. Booking Management. You can view the status and manage all your bookings in your personal area. Just have to click on the link "Manage My Bookings". 5. Newsletter with the best offers and news related to wine tourism in Portugal. 6. Unbiased Reviews and a Chatroom at your disposal, where you can share your experiences and make new friends. 7. A portal made for you. This portal offers an exclusive area in the Home Page to check your latest views, called "Recent Views". The "Manage My Bookings" area is a reserved area for the user to check, cancel or change his/her booking(s) on the portal. This reserved area can be accessed by the link located on top of the portal page or by the link provided in the email with the details of your booking. Can not find answers to your questions? Contact us!